POS Cash Management is used to assign a cash "bank" in Execu/Touch Point of Sale. 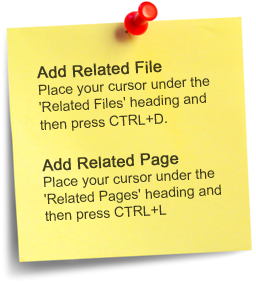 It is not necessary to use this feature to operate successfully within Execu/Touch. 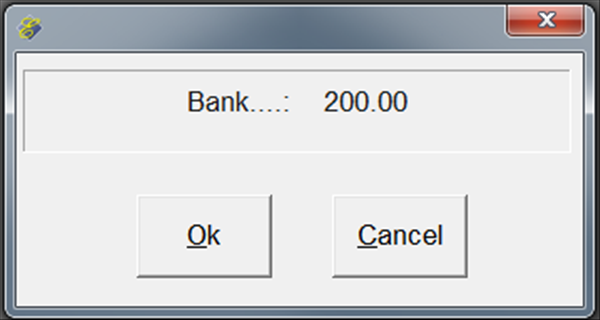 This feature is included for those who wish to use it and understand how a POS "bank" works. Execu/Tech Systems does not provide accounting or restaurant management training. Only one cashier should be assigned a till at each terminal. Allowing a second cashier to use the terminal will cause the cashier report to appear "off" for both cashiers. The "bank" should be assigned at the start of the day. Additional funds may be added throughout the day as necessary. Your POS Store Record should have Y in the "Use Cash Control Feature?" field. 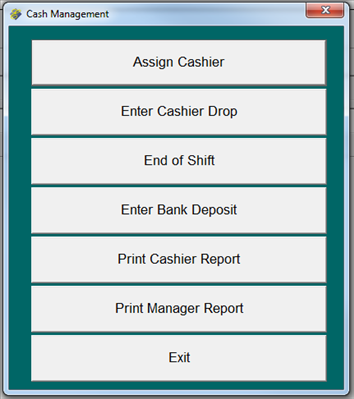 From the POS Table Management screen select Main Menu then Supervisor then Cash Management. The restaurant, bar, or retail outlet will receive a "bank" such as a bag or envelope containing cash. The bank is for cash transactions such as issuing change to a customer or guest. The bank should be used to assign and issue tills to the cashiers for the start of the day. You will be prompted for the bank amount only once per day. Once you have entered the bank you will not see the prompt again until the next day. The bank is the total amount issued to the Store for all cashiers regardless of shift. 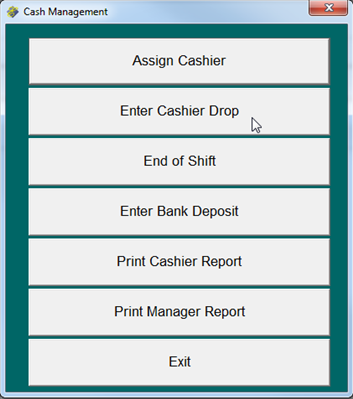 From the POS Table Management screen select Main Menu then Supervisor then Cash Management. Select Assign Cashier. 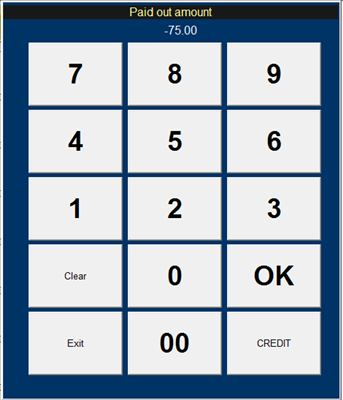 Enter the Store's bank amount by touching the numbers on the screen. ( You may use a keyboard if one is attached to the computer.) Remember, "amount" is the total bank for all cashiers. You will distribute the bank after the bank has been entered into the system. Enter the entire amount including cents without punctuation. You may use the 00 button. The system will assign the decimal. 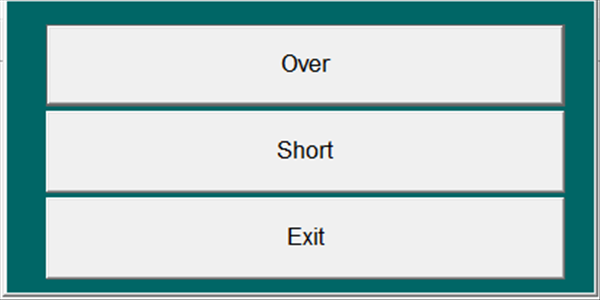 For example, enter $200 as 20000 and the system will display it as 200.00. If you enter 200 the system will display 2.00 which is $2 rather than $200. Touch OK. The amount you entered will display. If it is correct touch OK. Touch Cancel to start over. After you have entered the bank amount you will continue. Remember, each terminal should have one cashier assigned so that the Cashier Report reflects the correct amount for each terminal and cashier. You will see a series of screens allowing you to assign the cash to cashiers and terminals. Enter the Cashier's I.D. number, 3 digits. The 3-digit ID is NOT the cashier's password used when logging onto Execu/Touch. Enter the Terminal number (1 through 99) assigned to this cashier. If you do not know the terminal number, launch Execu/Touch at that terminal. Enter the cashier's till amount. Enter the amount including cents. 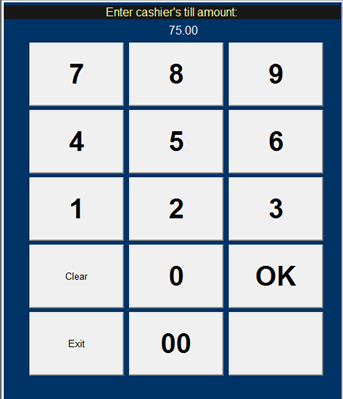 For example, $75 should be entered 7500 which will be displayed as 75.00 on the screen. You may use the 00 button. The Cashier's ID number assigned and name will display. The Terminal number assigned will display. The Till amount will display. Touch OK if this is correct. If it is incorrect, touch Cancel to return to the Cash Management menu where you may begin Cash Assignment again. 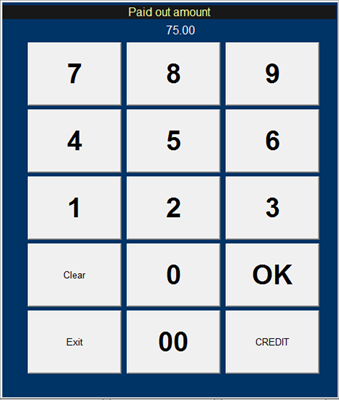 When you have finished, return to "Assign Cashier" from the Cash Management menu and enter the next cashier's ID number, terminal number, and till amount and continue until you have finished assigning the bank cash to the cashier tills. Be sure to restrict one cashier to a terminal when conducting cash transactions. Allowing a second cashier to use the terminal will cause the cashier report for both cashiers to appear incorrect. One will appear over and the other will appear short. When a cashier is assigned additional funds from the bank, you will RESET the cashier's till. 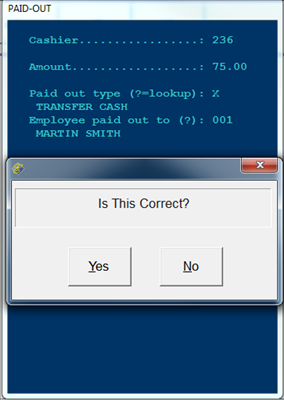 From the Cash Management menu select Assign Cashier. Enter the cashier ID number and terminal number. The till amount will be the TOTAL including cash assigned earlier in the day. For example, if the cashier started with $200 and you are adding another $200, you will enter 40000 to reset the cashier's till to $400. In order to complete a transfer from one server to another you should have a "TRANSFER CASH" payment type set up in Payment Records in POS Administrator. The POS payment code should begin with P/O but should not be P/OT which is reserved for Tips Paid Out. (O is the upper case letter O, not zero.) You may use a code such as P/OX. 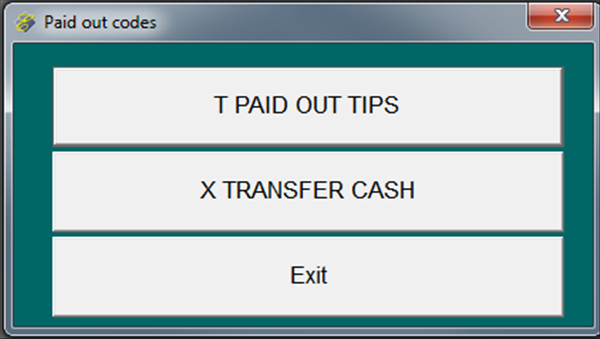 You will use the paid-out function to "transfer" the cash. Go to Main Menu on the Table Selection screen then select Paid-Out. These instructions must be followed or the Cashier Report will not be correct at end of day. Go to Main Menu > Paid-Out. A series of prompts will display. Enter the three-digit cashier ID number of the cashier you are paying FROM and touch OK. Enter the Paid out amount to transfer ($75 is entered 7500) and touch OK.
"Paid out type (or 'tip')"
Touch TRANSFER CASH or the P/O* payment code you set up. Enter the ID number for the cashier to transfer TO. The information that you entered will display. Select Yes to continue if the information displayed is correct. Select No to start over. Go back to Main Menu > Paid-Out. Enter the 3-digit ID number of the cashier to pay TO and touch OK.
Touch TRANSFER CASH or the P/O* payment code you set up if it is different. Enter the 3-digit ID number of the cashier to pay TO. This is the same ID you just entered. The first time you entered a debit amount. This time you entered a credit amount. The final cashier report after the Cashier Drop will be correct if you do not skip this step. 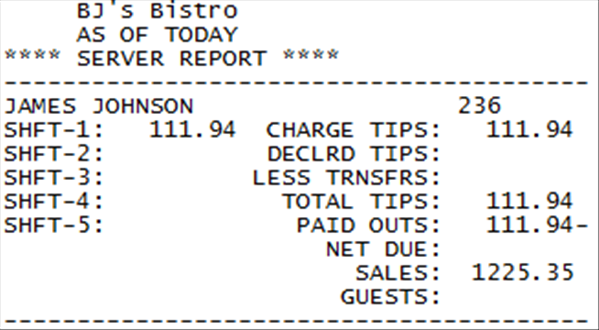 If your policy is to pay servers for charge tips at end of day or end of shift, do this now. Make sure the servers' checks have been closed or transferred to another server. Go to Main Menu > Print Reports > Server sales and tips. This report shows total charge tips and tips paid out. 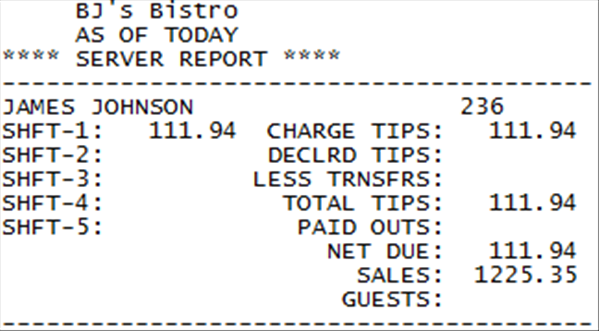 The report shows you the net due to the server for tips. 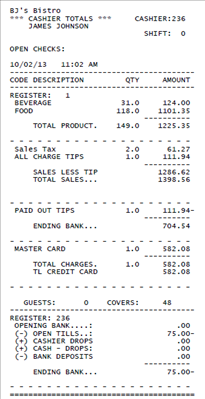 The following Server Sales and Tips reports were printed before and after tips were paid out. The report above shows NET DUE 111.94. The report above shows no NET DUE. After tips are paid you will close the tills. Go to Step 2. 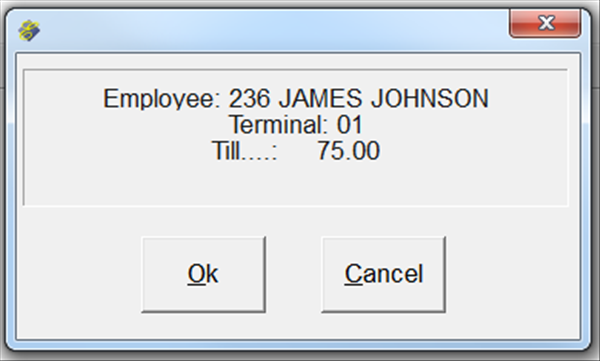 Print a Cashier Report. The ENDING BANK is the amount that the cashier owes. It is the sum of cash sales plus the cashier's till less tips paid out. Go to Main Menu > Supervisor > Cash Management. Go to Enter Cashier Drop. Enter the 3-digit Cashier's I.D. number. 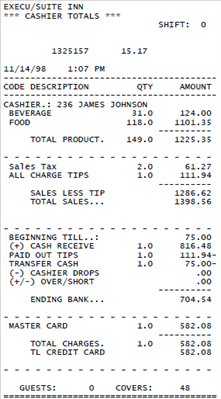 The cashier's drop amount is the TOTAL beginning bank till plus cash received. Tips should have already been paid out by the time you are at this step. Enter the cashier's drop amount including cents such as 7500 then touch OK.
Touch Clear to clear the amount entered so that you can re-enter it. Touch Exit to exit without entering the cashier's drop. The cashier number & name and the drop amount will display. Touch OK if correct. After the Cashier Drop, print another Cashier Report. After the Cashier Drop has been entered into the system and a Cashier Report has been printed you are ready to run End of Shift. 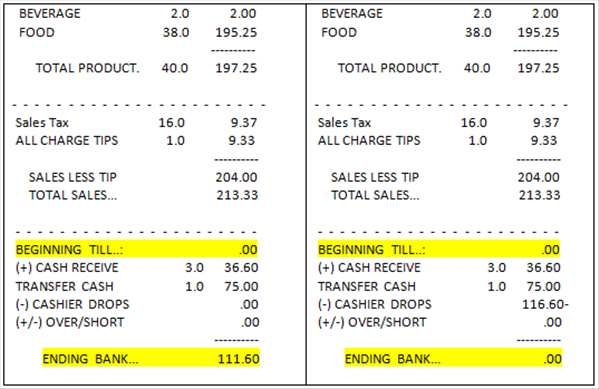 If the ENDING BANK on the Cashier Report is not zero you will enter the Over or Short amount. This is NOT the cashier's password used to log onto Execu/Touch POS. You will be prompted automatically to Enter Cashier's over-short amount. The amount is the ENDING BANK amount on the Cashier Report that was printed after tips were paid out and the cashier drop was entered. Enter the amount including cents such as 953 for 9.53 and touch OK.
Touch Clear to clear the amount entered and re-enter it. If the cashier's ENDING BANK is zero and there is no overage or shortage, touch OK. 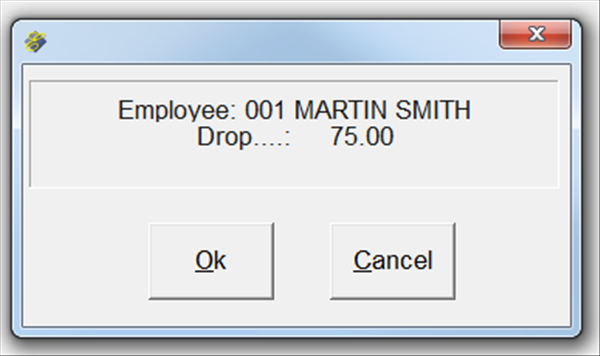 Step 4 - Print a final Cashier Report to verify all figures. 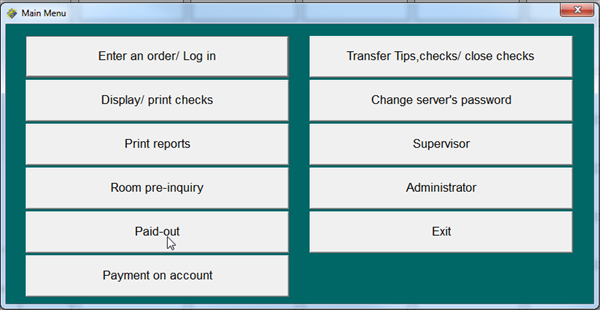 Step 5 - Run End of Day Close from the POS Supervisor menu. End of Day Close should be run ONLY ONCE per day. If other POS outlets are still open do not do End of Day Close at this time. 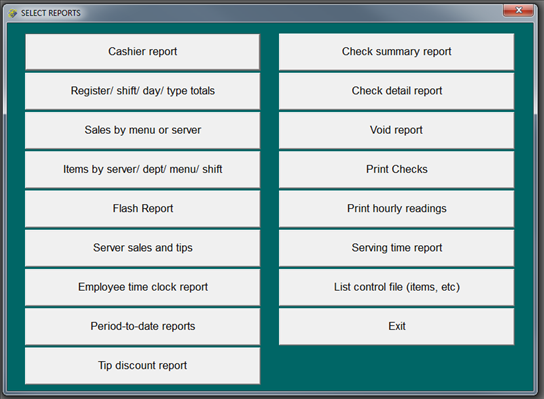 You may preview POS reports rather than send them to your printer. 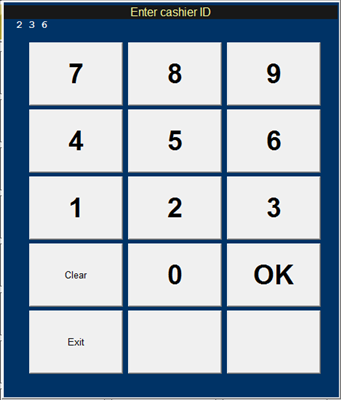 When the printer selection keypad is displayed, select "Screen". 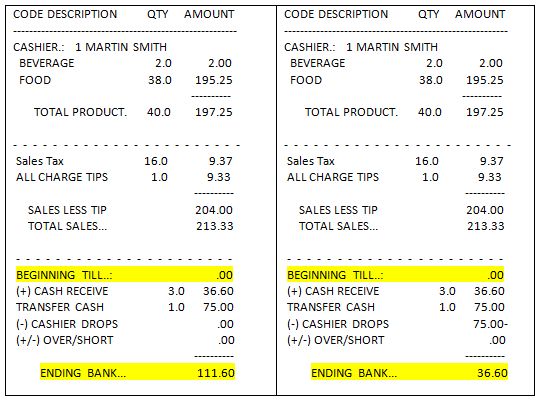 These two Cashier Reports show Till transfer. Transfers are done as PAID-OUTS. The Paid-out type is "TRANSFER CASH". The till has been transferred FROM Cashier 236. The till has been transferred TO Cashier 1. These two cashier reports are for Cashier 1. The first report shows the till transferred to Cashier 1. The second report shows the ending bank after a cashier drop of $75.00. The ENDING BANK is $36.60. The cashier still owes this amount. Note that the cashier drop should have been $116.60 for an ENDING BANK of zero. An additional cashier drop or an over/short entry is required for this cashier. 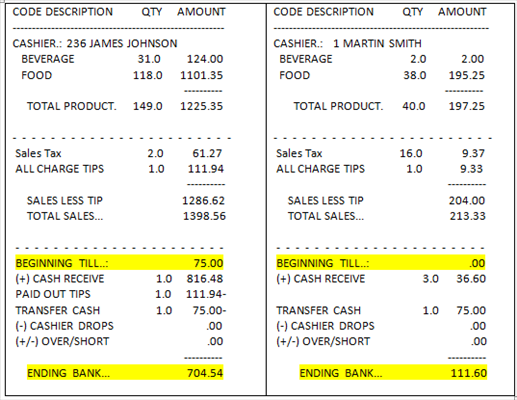 The second report shows the ending bank after a cashier drop of 116.60. Note the ENDING BANK of zero. This means that all cash has been accounted for.